Today's WORSHIP QUOTE is from a wonderful little book on God's amazing grace. The author is Timothy George, Dean of the Beeson Divinity School of Samford University in Birmingham, Alabama. Once we understand who God really is, once we have experienced His inexhaustible lovingkindness, which like the dew is fresh every morning, it will change the way we worship. From a heart overflowing with gratitude, we will want to honor and glorify God by gratefully offering back to Him the many good gifts He has bestowed on us. We will not go to church to be entertained, to see "what we can get out of it" for our own private gratification, but rather to praise and worship the triune God of grace and glory (pp. 118-119). 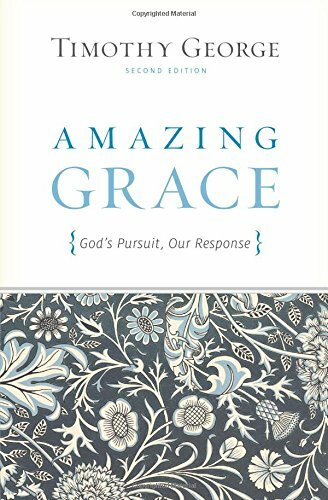 God's grace should provoke wonder and worship among all of God's children (p. 5). - Timothy George, Amazing Grace: God's Pursuit - Our Response, 2nd ed. Wheaton: Crossway, 2011. ISBN 978-1433515484.